I love reading all the "Best of the Year" booklists that come out at this time of year. Here are links to a few that I've been reading. In a few more weeks I'll publish a list of my own favorites that I read in 2014! Hope you are sparked to add a few of these titles to your own "to be read" lists! Over 3 million people voted on Goodreads annual best book lists, and here are the teen books that won! This Star Won't Go Out - the memoir of Esther Earl, the girl who inspired John Green to write The Fault in Our Stars. The winner in the Memoir/Autobiography category. 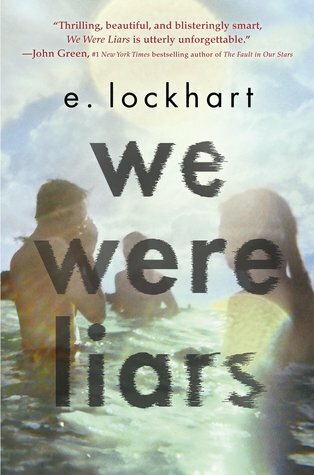 E. Lockhart's book We were Liars won the in the best Young Adult Fiction category. This book is on a lot of "best of 2014" lists! Cassandra Clare's City of Heavenly Fire won in the best Young Adult Fantasy category. Rick Riordan continues to dominate the middle grade fiction category, with another winner in The Blood of Olympus.